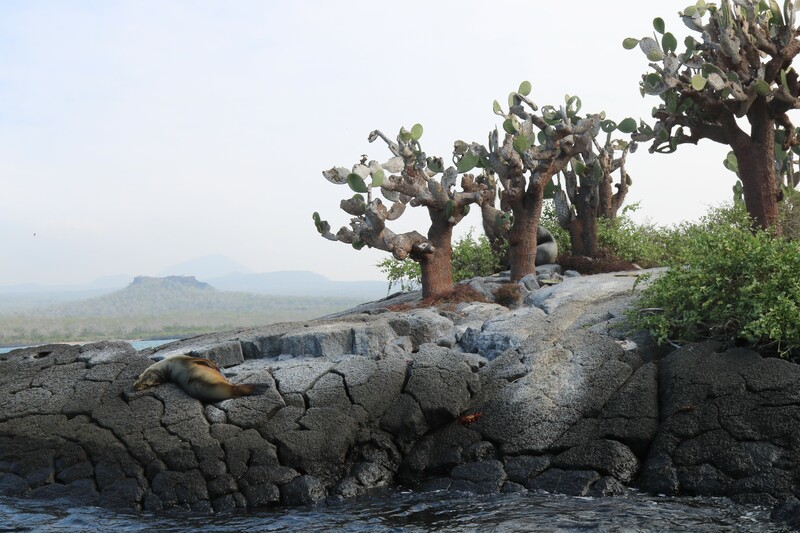 The Galápagos Islands are located 1,000 kilometres from the South American mainland but a world apart from anywhere else on Earth, which is rather appropriate for an out of this world tale. The archipelago and its surrounding waters, located where three ocean currents converge, are famed for the unique animal species that piqued the interest of Charles Darwin in 1835, he later drew on his experiences there when penning his landmark theory of evolution by natural selection. This strong connection to natural history and the beautiful and diverse eco-system that inspired it has driven a fascination fuelled ecotourism bonanza year after year. “All the team at Launceston Travel and Cruise centre have a passion for travel” say Baden Brown, Co-owner of the 2nd generation family run Launceston Agency. “That passion drives our team to create amazing holidays, so we support and encourage everyone within our office to regularly take time out to travel, especially to exotic locations that are likely to interest our clients”. 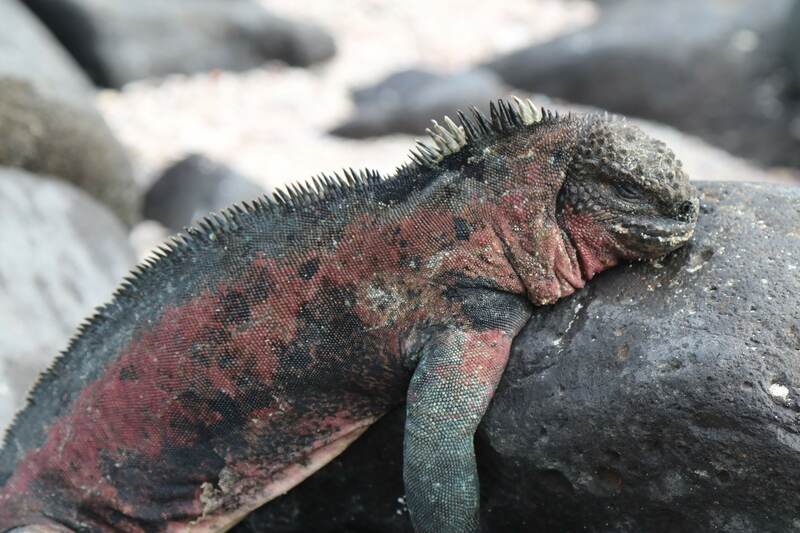 Baden counts himself as no exception and took advantage of the opportunity to join one of the world’s leading small group operators G Adventures, to experience the famed and beautiful Galapagos islands for himself. But one of the most truly amazing encounters Baden experienced came not in the form of flora and fauna, but by way of one of the most unique post offices (of a kind) to be found anywhere in the world. The ‘Post Office’ itself nowadays is a simple wooden barrel covered in notes and keepsakes from travellers passing through in what resembles a glorified birdhouse. Nowadays, in the same system of the past the practice of posting stampless letters remain, which has visitors sift through the mail and collect letters going to a home near their final destination, they can mail or, preferably, hand-deliver letters to the recipients – some of which can take over a decade to arrive. 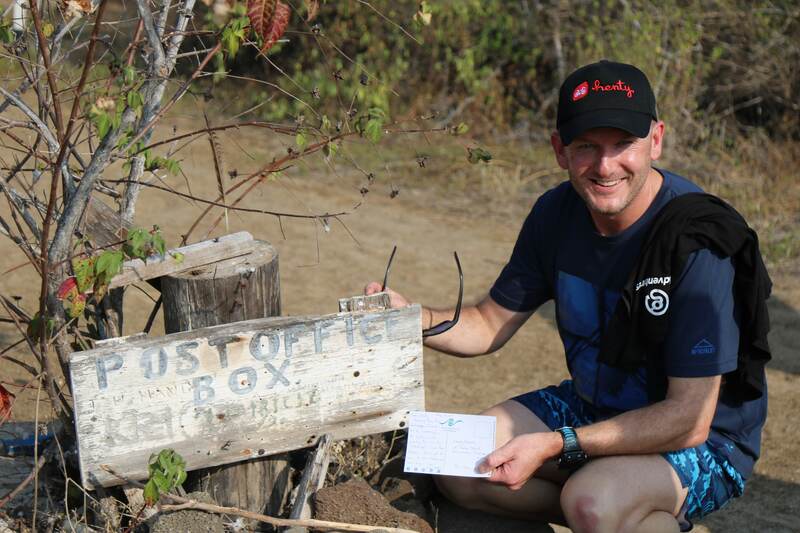 Tour guides are known to say that slapping a stamp on the letter and dropping it in a mailbox is cheating! Curiously, Baden sifted through the numerous post cards awaiting transportation off the island. 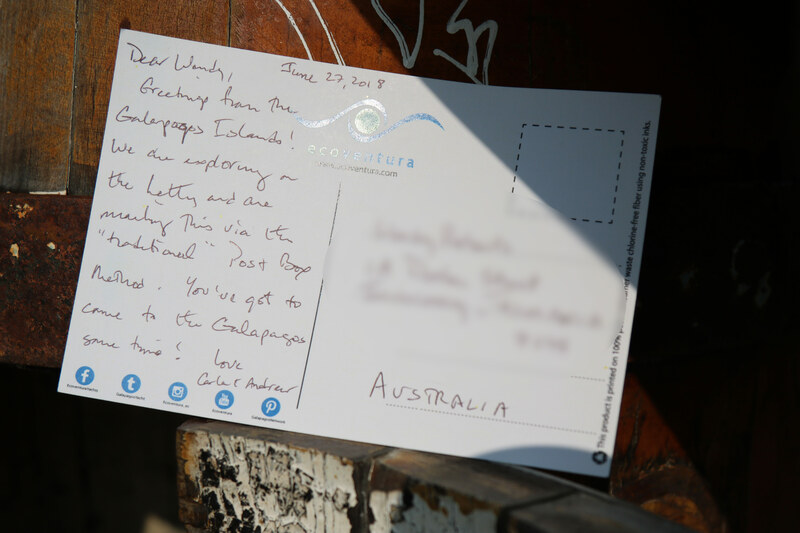 “Baden felt obliged to turn postman, so placed the card in his backpack for the journey home, still gob smacked about travelling halfway around the world to come across a postcard addressed to someone two minutes from Launceston Travel & Cruise Centre in Brisbane Street, Launceston”. The knock on the door to Wendy’s address had to come with an explanation. “Hello Wendy, I’ve got a postcard from the Galapagos Islands for you!”. The story was worth retelling and another example of just one of the fantastic stories gained by the magic of travel. If you want to create a travel story yourself, whether it is to the Galapagos Islands or anywhere else. Come see the team at Travel and Cruise Centre or build an itinerary here.